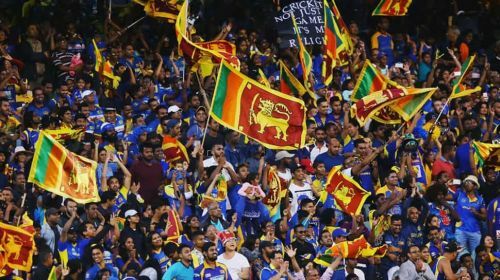 Opinion: Does Sri Lanka deserve to play the 2019 ICC World Cup? The Sri Lankan team went on from being underdogs to champions enroute their journey of the 1996 Cricket World Cup hosted by the sub-continent, forever changing the way limited overs cricket would be played and looked at. Having made their ODI debut in the 1975 edition of the same tournament, it took them six tournaments across 21 years to go from being winless in 1975 to World Champions in 1996. The Lankan Lions lead by Arjuna Ranatunga with their coach Dav Whatmore proving to be the driving force, stunned everyone when they defeated Australia on 17th March 1996 at the Gaddafi stadium in Lahore to become the first co-host team to ever win a Cricket World Cup. They had personnel for every task and every situation- from Jayausrya, Kaluwitharana and Gurusinha blasting bowlers at the top, to Arvinda de Silva, Ranatunga, Rohan Mahanama and Hashan Tillakaratne anchoring the innings in the middle, from the pace and swing of Vaas and Wickramasinghe to the guile of Muralitharan and Dharmasena- Sri Lanka had all bases covered and constituted what could arguably be termed as one of the most revolutionary teams to have graced the sport. The World Cup triumph initiated a golden era in Sri Lankan cricket which saw them rise from mere dark horses to strong contenders in every forthcoming world events. It gave the people of the island nation the motivation to support the sport, inspiring a generation of cricketers who would go on to stamp their authority on the sport and prove to be world beaters. Kumar Sangakkara and Mahela Jayawardene the batsmen and Muralitharan and Malinga the bowlers, among others, proved to be the torchbearers for Sri Lankan cricket at the turn of the century as they turned the Lankans into Lions. Semi-finalists in 2003 and runners-up in 2007 and 2011, the Lankans were all but crossing the final hurdle. In fact, they even embraced the shortest version of the sport with open arms as they ended up being runners-up in the 2009 and 2012 editions of the ICC World T20 and lifted the silverware in 2014. However, the decline of Sri Lankan cricket over the last few years has raised serious concerns over the team's performance and brought us to doubt whether they even deserve to participate in the forthcoming Cricket World Cup. In the 71 matches they have played post the 2015 World Cup, Sri Lanka have won only 22. What is even more alarming is that 46 of those matches were played on dry spin-friendly wickets of the sub-continent. Not only have they conceded defeats at the hands of strong opponents such as Australia (4-1), India (5-0) and South Africa (3-2) at home, they have also had to face loss at the hands of Zimbabwe (3-2) and drew with Bangladesh (1-1). Their overseas record during this period is dismal, having won just seven games out of the 25 they have featured in outside the sub-continent, with two wins a piece out of those against Zimbabwe and Ireland. In a six month period between July 2017 and January 2018, they had one win in 17 ODIs. The shambles that they are in is only further underlined by their recent ouster from the Asia Cup after losing consecutive matches heavily to Bangladesh (by 137 runs) and Afghanistan (by 91 runs). They have tried different player combinations and different captains at the helm, but none to good effect. They have not yet come to terms with the departure of their star players and rather than being in a state of transition they seem to have gone into exile. Only recently, players and captains of Associate Nations voiced their opinions against the ICC's policy of conducting a 10-team World Cup, alleging that the world cricketing body is just a money minded organisation looking to mint cash on the pretext of teams with wealthy boards and famous players clashing against each other to attract viewers. With the rise of such nations and with ICC looking to attaining a more global outlook by planning to introduce competitive reforms to the game, one's like relegation and leagues based on team rankings, Sri Lanka's future looks dim, considering their present Doldrums. If the present trend of results continues in Sri Lankan cricket, it would not be surprising to see them fighting for a place in the 2023 World Cup against better-placed teams like those of Afghanistan and Ireland. ICC World Cup 2019: Who are the biggest game-changers for Sri Lanka?